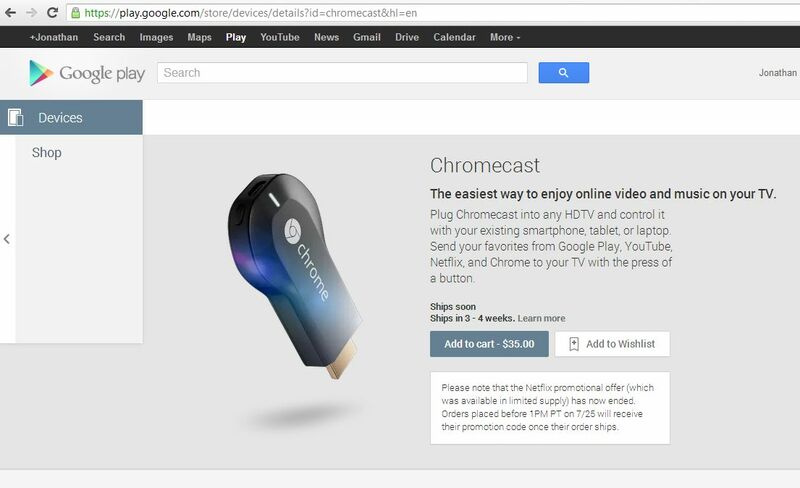 Last week, seemingly out of nowhere, Google announced Chromecast. It’s an HDMI dongle that allows you to stream content to your TV from the cloud using almost any device connected to the same WiFi network (yes, it works with the iPhone and iPad as well as Android devices). You simply plug the device into an HDMI port on your TV and plug it into a power source (my TV has a USB port right beneath one set of HDMI ports which is quite convenient. It also comes with a power outlet adapter) and you’re (almost) ready to go. Once it’s set up you’ll see a Chromecast button in supported apps and you simply click the button and Chromecast will begin streaming the content on your TV. You can control the content with your device, but you can also exit whatever app you launched the video from and continue using the device while the Chromecast continues streaming. The only annoying thing about the Chromecast for me was the setup. It wasn’t as simple as it should’ve been. For some reason you have to change the name of your WiFi network to the name of your Chromecast device (ie. Chromecast9999) in order to connect to the Chromecast and get it set up. Then you can change your WiFi network back to it’s original name before you save the connection settings for the Chromecast. I have yet to discover if that’s a process you have to go through everytime you use the device on a new WiFi network or if it’s simply for the initial setup. I hope it’s the latter because otherwise it won’t be as convenient of a device as it could be. Sure you don’t have to carry around an HDMI cable, but fooling around with router settings every time you go somewhere new would be a chore. Overall I’m impressed with the device and for $35 it’s a steal. It initially came with 3 months of Netflix, however due to overwhelming demand Google had to remove that offer (luckily I got in before it disappeared). I’m also impressed that it works so easily with iOS apps, though as of right now you cant use it with the Chrome iOS app (it does support the desktop version). At the moment you can use it with YouTube and Netflix on iOS (I’m not sure if there’s a Google Play app on iOS, but I assume if there is that would work as well) and there should be more content to come in the near future. I’m on my lunch break right now but wanted to share this amazing SiriusXM exclusive acoustic performance of “Chocolate” by The 1975. The song is incredible in the first place, but this version is just incredible. 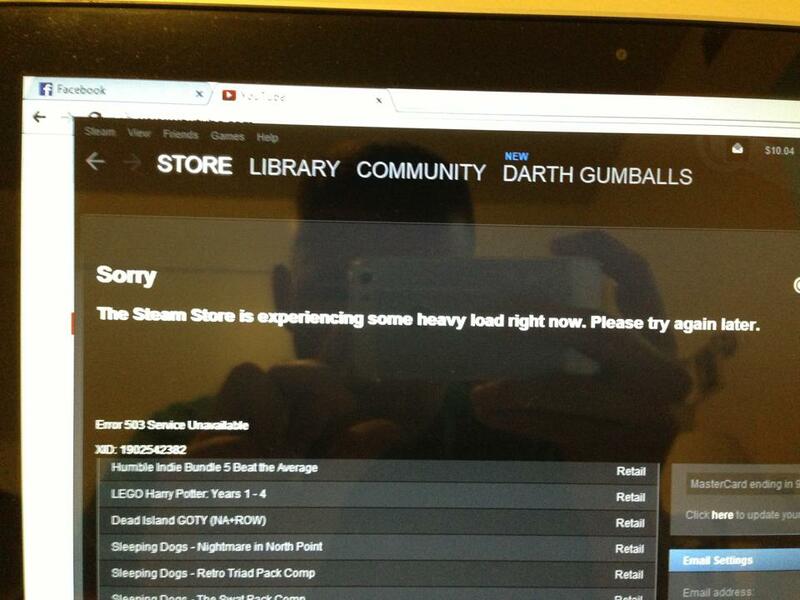 The 2013 Steam Summer Sale is nearly over. With just two days of deals left I find myself having just over $10 left of the $50 I allotted for the sale. Lately, however I haven’t found much of anything worth purchasing. So far I picked up NBA 2k13 (so far my favorite pickup of the sale), Alan Wake Franchise (Alan Wake + Alan Wake: American Nightmare), Deus Ex: Human Revolution, Poker Night 2 and Dirt 3. 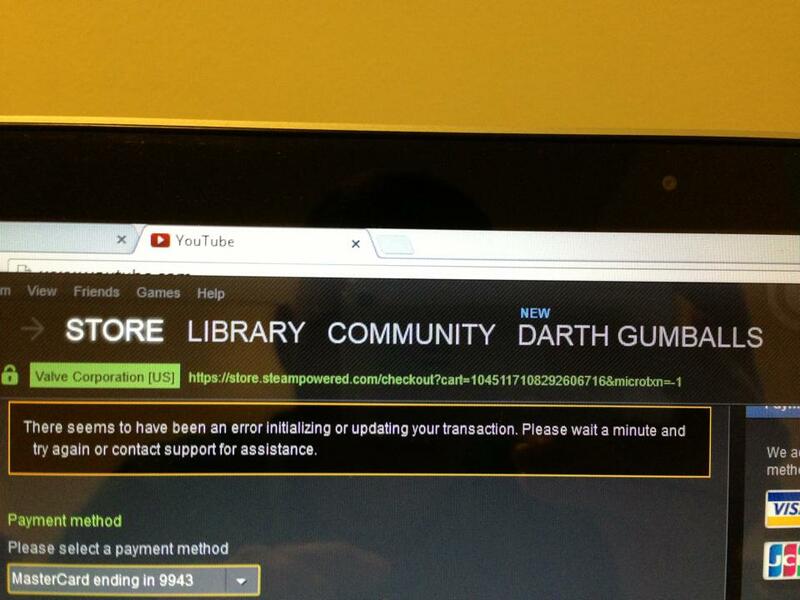 I have only played NBA 2k13 and Poker Night 2 so far and I enjoy both of them. Collecting the Summer Sale trading cards was a bit of fun and I was able to complete my level 1 Summer Sale badge. The addition of trading cards in various games is also a welcome change which might just get me to play more games in my library that would otherwise sit untouched. I’m hoping something pops up for under $10 that I can purchase, if not I may just pick up Magic 2014 which is not on sale but is $9.99. How has your Summer Sale been so far? In today’s VLOG (recorded 9 July) I take a look at my 360 collection and offer a few thoughts on some of games. A video of me playing Super Mario Bros. 3….Quite badly.